Don Hutchinson is a husband, father and grandfather who graduated from Queen’s University in Kingston and the University of British Columbia Faculty of Law a long time ago. The author of Under Siege: Religious Freedom and the Church in Canada at 150 (1867-2017), Don is a strategic thinker and planner who has been a member of the Law Society of Ontario (formerly Law Society of Upper Canada) since 1990. Not coincidentally, he is also a long time member and former board chair of Canada’s Christian Legal Fellowship. In addition to several appearances before the Supreme Court of Canada, multiple appearances before committees of Parliament and the Ontario Legislative Assembly, Don is an avid motorcyclist who was vice-chair of the Society of Ottawa Area Riders and has been featured in motorcycle safety videos and media interviews. He has served on the boards of a number of local and national charities. Don blogs here. 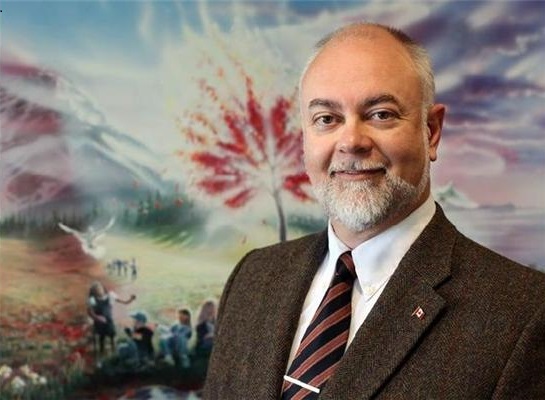 He was a regular contributor to the law and public policy blog ActivateCFPL from 2009 to 2014 and wrote “webitorials” at Christianity.ca from from 2007 to 2009. He has appeared on TVO’s The Agenda, Global National, CBC The National, CBC’s Power & Politics, CTV News, CTV Power Play, CPAC’s Goldhawk Live, Sun TV’s Byline with Brian Lilley, Sun TV’s The Arena with Michael Coren, Sun TV’s The Source with Ezra Levant, Context with Lorna Dueck and others in addition to radio, writing opinion editorials for the National Post and being regularly quoted in a variety of print and electronic media. Don is a recipient of the Queen Elizabeth II Diamond Jubilee Medal for his contributions to Canada in promoting freedom of religion and development of public policy, including raising the age of consent to sexual activity with an adult from 14 to 16 years of age and consulting on the development of the federal Office of Religious Freedom and the National Action Plan to Combat Human Trafficking.